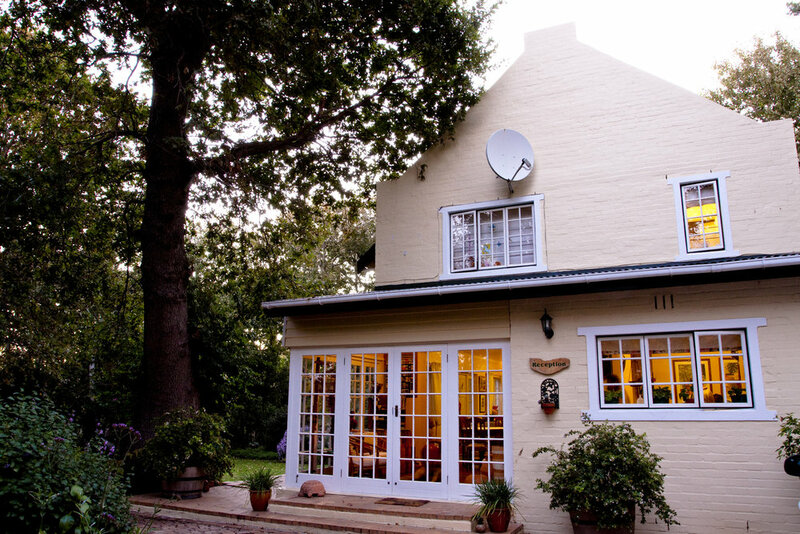 The house at Pooh Corner is situated on an acre plot in Noordhoek valley, nestled between the Indian and Atlantic Oceans. The peaceful setting & luxury accommodation promise to delight our guests. 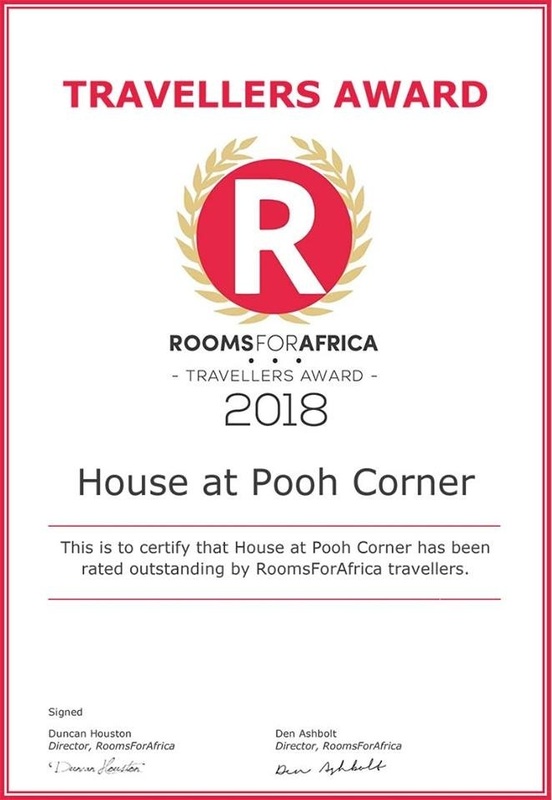 Pooh Corner will be enjoyed most by those who want to get away from the noise and crowds, to a beautiful home from home. Enjoy sumptuous breakfasts, served in the garden and watch the squirrels cavorting in the trees. 100 year old oak trees and the original nineteenth century Chapman’s Peak Drive bridge,form wonderful accents in the forested garden. A Bonsai garden, a romantically secluded swimming pool and formal herb garden all add to the charm of staying at Pooh Corner. 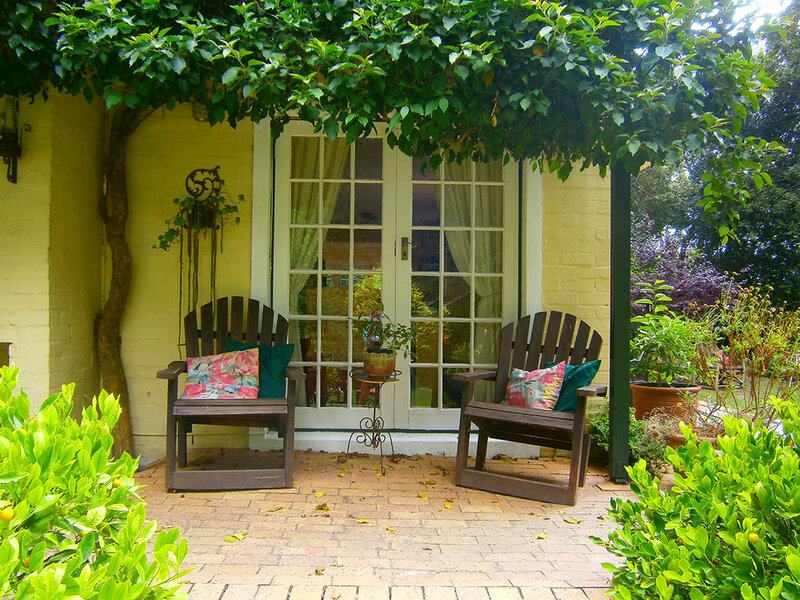 We offer a choice of self-catering or bed & breakfast accommodation. The suites are tastefully decorated and furnished with old cape furniture and equipped for our guests convenience and comfort. We pride ourselves in friendly, country-style hospitality; a comfortable home from home experience. All linen and towels are provided and the cottages are serviced daily except Sundays. Outdoor barbecue/ braai facilities with plenty of wood are at your disposal. 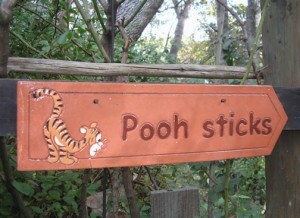 Children are most welcome at Pooh Corner. The garden is an adventure with meandering paths, a treehouse and jungle-gym, swings and play-house. The stream, a must to explore, is safely fenced off for little ones, as is the swimming pool. A pram, highchair & cot is available for our guests convenience. Baby sitting can also be arranged. We are 2kms from Noordhoek beach and 9kms from Fish Hoek beach. The Longbeach Mall, a host of shops & restaurants is only 3 kms away. The Noordhoek Farm Village with its fabulous deli, famous Food Barn and other gorgeous restaurants, gift shops, art galleries and children’s play-park is conveniently situated within easy walking distance. Car hire, airport transfers, local taxi services, personalized tours (near and far) and guided hiking trails, can all be arranged on request.